I received a free sample from Devo Olive Oil. 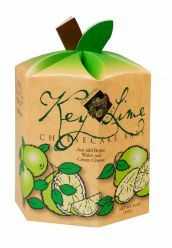 I love nothing more than to take a classic and tweak it a little and come up with new play on the recipe. Since I bake so frequently for my household and for the firemen I have lots of opportunities to play. I was sent a bottle of Violet Balsamic Vinegar from Devo Olive Oil and knew I wanted to use it in a sweet dish. 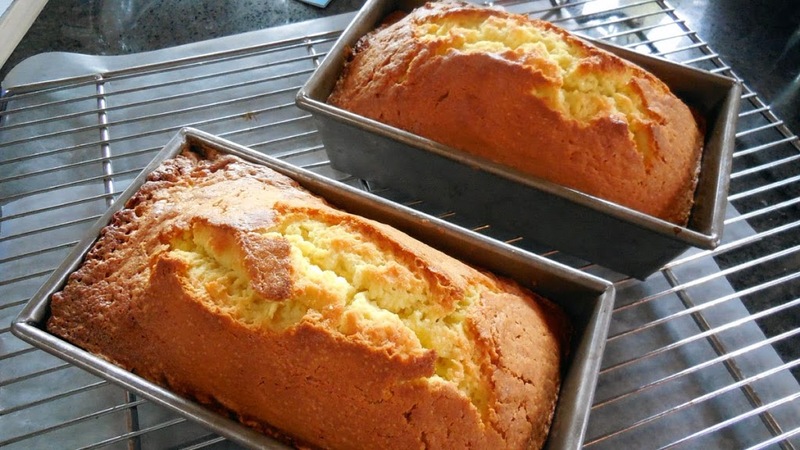 It was time to bake for the firemen again so I settled on pound cake – but how to best utilize the vinegar? 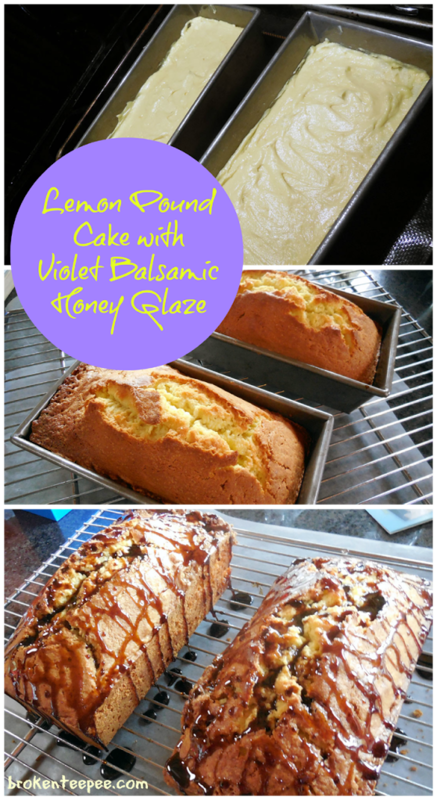 I thought a glaze would enhance it best but knew the pound cake would need something to play nicely with the slightly floral edge to the glaze I had in mind so I decided to add some lemon to a classic recipe. After I was done I had a delicious combination that worked very well together. I found my basic recipe in Baking: From My Home to Yours by Dorie Greenspan a cookbook I turn to often for baked goods. I just added a couple of extras to get my lemon flavor. I made two for the fire meeting as you can see in the photos. I simply doubled the recipe. 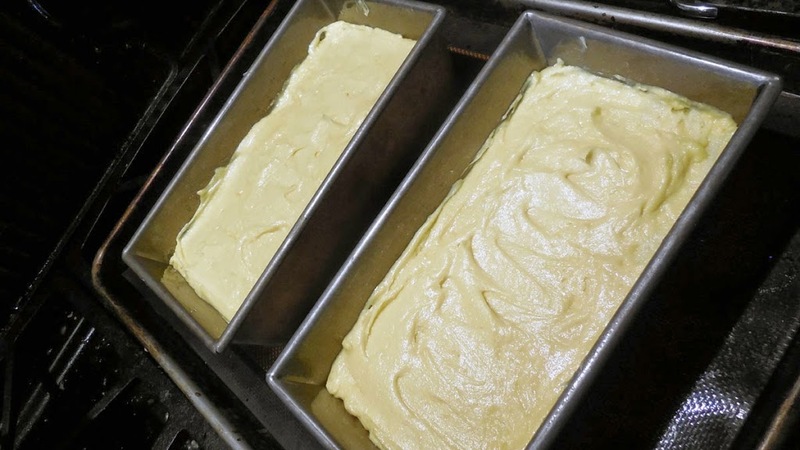 Grease a loaf pan, either 9 x 5 or 8 1/2 x 4 1/2. Set it on an insulated baking sheet or two baking sheets stacked together. This will help the cake not burn on the bottom. In a stand mixer with the paddle attached cream the butter, sugar and lemon juice powder until light and fluffy – let it beat for a good 5 minutes. Then add the eggs one at a time, mixing for one minute after each egg. Add the lemon extract and mix in well. Stop the mixer and scrape down the sides as necessary. Add in the flour mixture and mix on low speed just until blended. It’s very important not to overmix the batter. Add the batter to the prepared pan and smooth out the top. Place on the baking sheet(s) and bake for 70 – 75 minutes for the 9 x 5 pan and 90 minutes for the smaller pan. Check the cake at around 45 minutes and it it’s getting too brown place a foil tent over the top. When a tester comes out clean remove the cake to a cooking rack and let rest for 30 minutes. 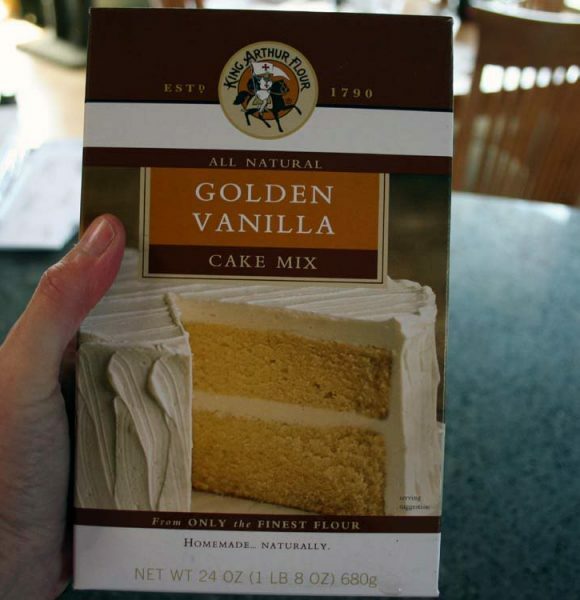 Slide a butter knife around the edges and remove the cake from the pan to cool completely. 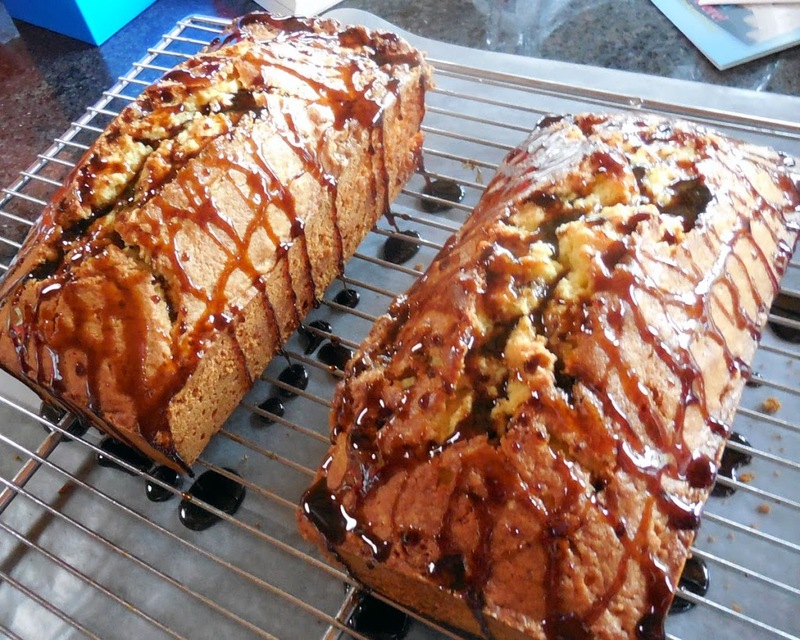 While the cake is cooling you can make the glaze: add the violet balsamic and honey to a small saucepan. Warm over medium heat until the mixture comes to a boil. Lower the heat and simmer until it reduced by half. 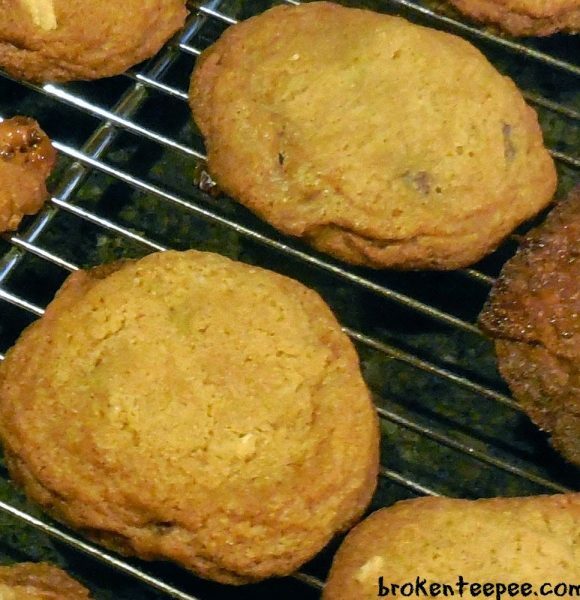 Be sure you have wax paper or foil under the cooling rack. Drizzle the glaze over the cake. The firemen enjoyed the cake and hubby brought some home for me to try. This is a true pound cake so it’s a bit on the dryer side. It was good the first night but even better the second day. The glaze was a delight. At first I thought it might be a little too syrupy but it worked perfectly on the cake. 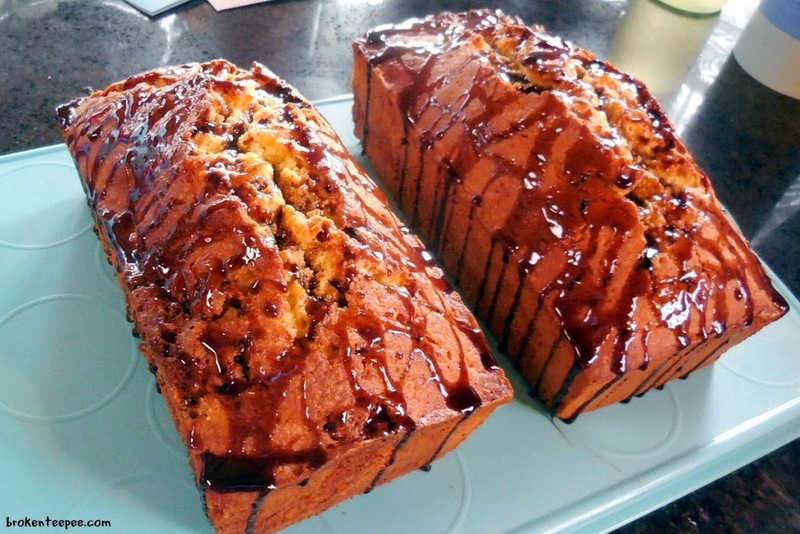 It added a nice touch of floral sweetness to a buttery pound cake. The lemon flavor was mild but delicious.